After a string of recent intentional and unintentional food safety issues in the United States, the FDA has drafted new rules that change how food processors manage and secure their facilities. The result is one of the most transformative food handling policies to date, with deep impacts on processors of all sizes. The Food Safety Modernization Act (FSMA) is a sweeping set of changes to food processing, storage, and handling laws. Going beyond typical food regulations, the FMSA requires food processors to undertake preventive efforts, and sets standards for the entire food production process. This combination of prevention and controls helps to increase overall food safety and directly prevent incidents. The FSMA focuses on four general aspects of food safety – incident prevention, inspection and compliance, imports, and partnerships. It impacts organizations as diverse as farms, processors, warehouses, and importers. The FSMA sets new standards for how organizations handle and store food, what preventive measures are documented and acted upon, and how to cope with the intentional adulteration of food supplies. The biggest requirement for all food processors under the new provisions is the requirement to maintain some form of preventive controls plan. The preventive controls document and set of policies are nothing new for organizations with established controls, but new provisions require that processors preemptively craft security measures and subject themselves to biannual review. The FDA requires a plan that directly addresses hazard analysis, preventive controls, and oversight and management. Preventive measures must cover not only the most common sources of food contamination – employees or source contamination – but also must describe strategies to prevent the intentional contamination of food. The FSMA rules also require for the first time that employees maintain certain standards of training for food safety and handling. Administered by the FDA, the FSMA also gives new authority to the agency to monitor adherence and take measures against non-compliant organizations. FDA inspectors can undertake unannounced inspections at any time, evaluating plans and how well the organization meets requirements. The FDA also has broad authority to take punitive action against processors that fail to meet standards, including shutting down supply lines and seeking legal damages. The largest changes brought on by the FSMA are a set of rules designed to prevent Intentional Adulteration (IA). IA rules were established to prevent the most heinous forms of food supply risk: those created intentionally through deliberate action by internal employees or through acts of terrorism. IA requires organizations to set plans and strategies in place to mitigate and prevent these actors from intentionally sabotaging food supplies and storage. As part of your overall preventive control plan, the FSMA will require you to clearly document methods for preventing, deterring, and identifying potential avenues for IA, and test these plans on a regular basis. 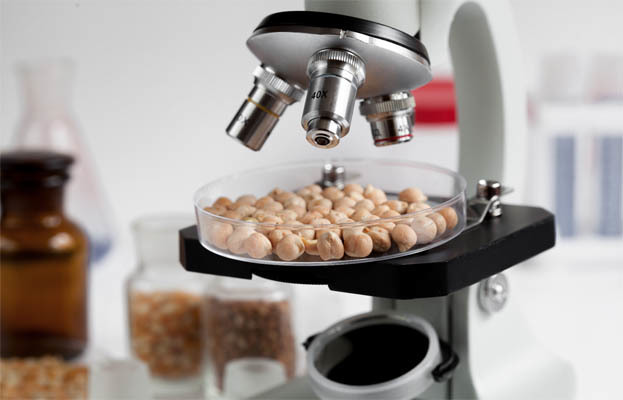 Domestic food processors are not the only organizations subject to FDA review under the FSMA. For the first time as part of broad-reaching legislation, strict controls will be applied against foreign suppliers who import food products for sale to the United States. These rules range in scope and strength, but generally require that legal importers meet many of the most important standards for food safety. New rules require importers to review and define risk as part of an overall safety controls program, and give the FDA authority to block imports in the interest of food safety. Chances are, many of the practices you have in place today meet the new standards required by the FSMA. While the requirements placed onto processors and importers are more stringent overall, organizations already invested in safe food handling practices will be well positioned to move toward compliance. The Food Safety Modernization Act and new intentional adulteration rules are set to fundamentally change how organizations handling and processing food do business. The FSMA will require new preventative controls, clear risk and mitigation plans, and a documented view of the entire food processing operation. Becoming compliant means putting a plan in place, and Grainger can help you take the right steps toward a food defense plan that works for the entire operation.